When European tourists and Syrain refugees meet. 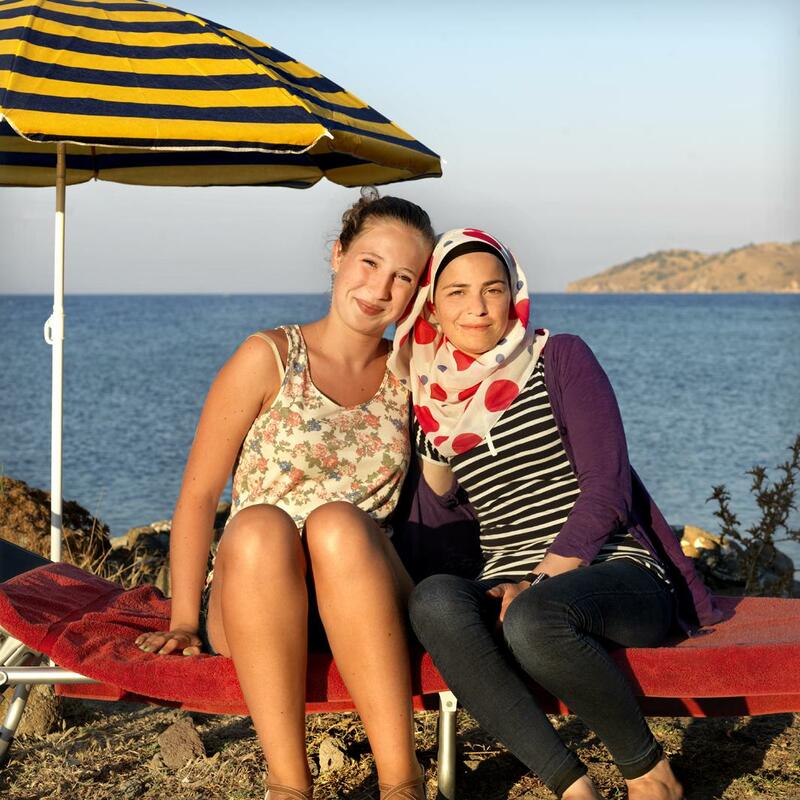 These days, Lesbos is a tale of two islands. For European tourists, the Greek outpost in the Aegean Sea is a summertime escape, a place for leisure and relaxation. For the Syrian refugees who make it there alive, after a treacherous voyage by boat from Turkey, it’s a safe haven and a portal to a new life in the European Union. Mostly, the two groups keep to themselves. But in Marieke van der Velden and Philip Brink’s short documentary, The Island of All Together, for a brief moment, they cross paths. 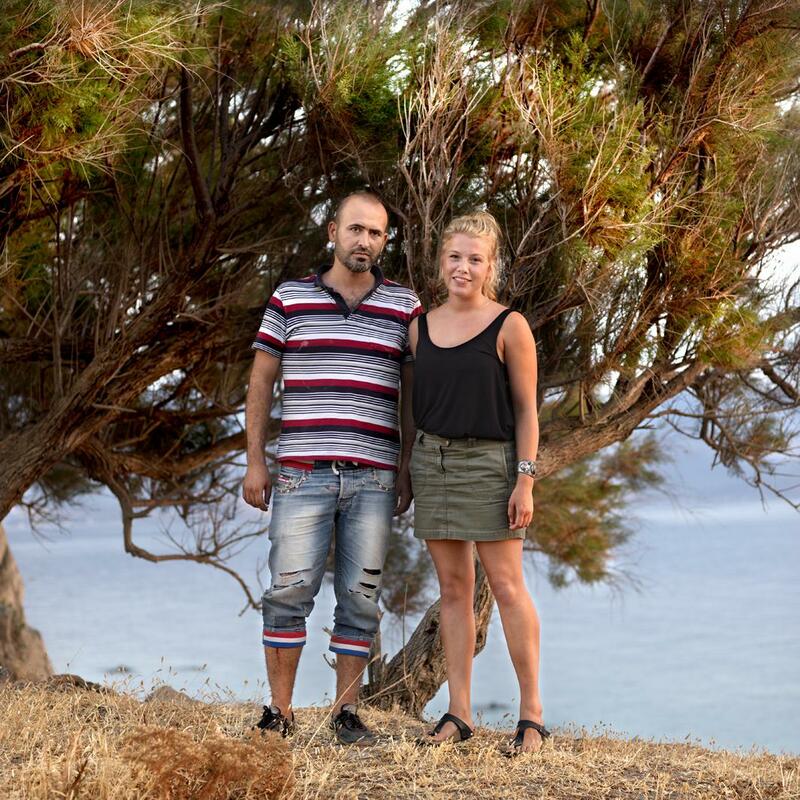 This August, the Amsterdam-based couple spent 10 days on the island and filmed 12 one-on-one conversations they arranged between recently arrived refugees and vacationing Europeans. Afterward, van der Velden photographed the pairs. The goal, she said, was to inspire a greater sense of empathy in participants and viewers alike. The idea for the project came this past March. 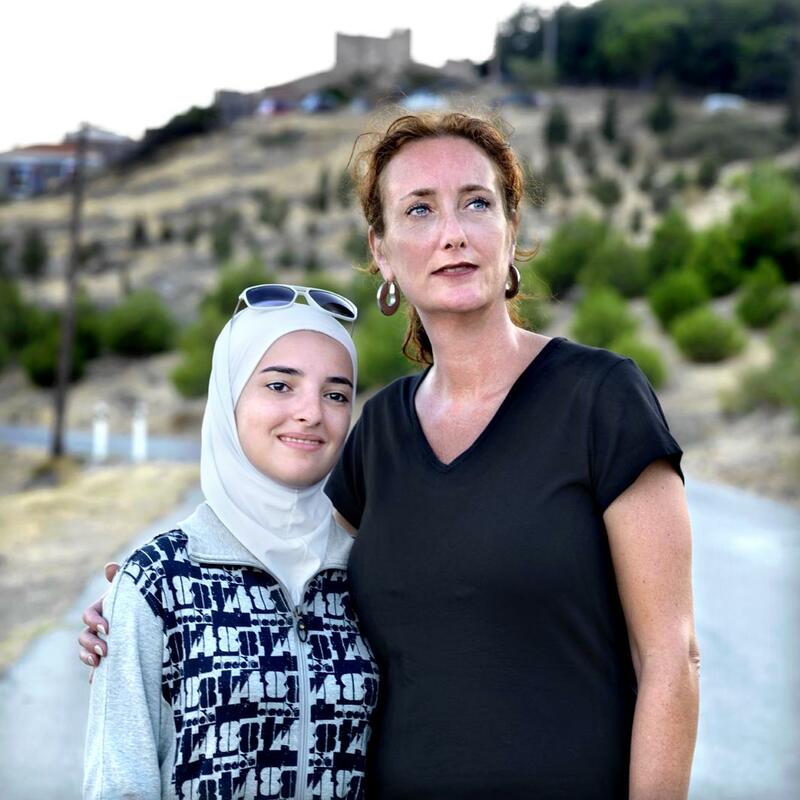 Van der Velden and Brink were making a documentary at refugee camps in Lebanon and realized that many of the people they met would likely try to flee the poor conditions there by boat. Lesbos, they knew, was one of the closest places in Europe to the region. Pressed for time, the couple cast the first people they managed to recruit for the project. 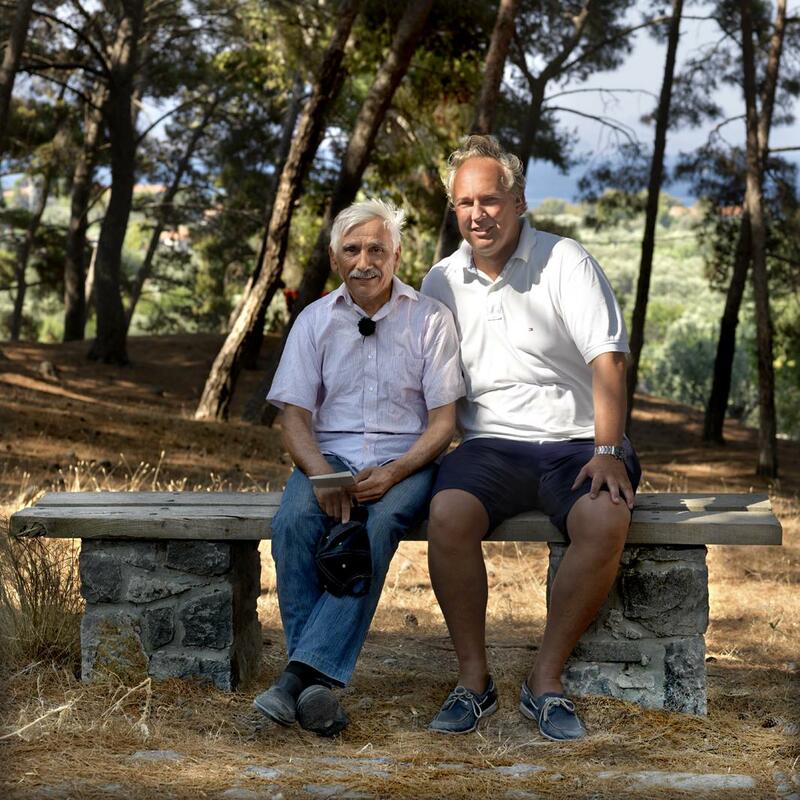 They enlisted fellow Europeans at their hotel and asked Syrians waiting for a bus at a parking lot in the village of Molyvos. The pairs spoke, flanked by three cameras, for approximately 30 minutes each. With the help of an instantaneous translator broadcast in earpieces provided to them, the conversations, which covered politics and lighter topics like soccer and music, unfolded relatively smoothly. Each meeting ended with the participants taking a selfie together. “While we sat quietly behind the camera we let every conversation take its own course. Sometimes the conversations started somewhat awkwardly, but during the course of the conversation it became easier. And if they were unable to think of something to say they could take one of the question cards, which were located in between them,” the pair wrote on the project’s website. All of the Syrians featured in the project, van der Velden said, have reached either Germany or Austria. For some of the pairs in The Island of All Together, including Selma, from Hannover, Germany, and Husam, a Syrian now living in Berlin, that means they’re not just acquaintances but, in fact, countrymen.